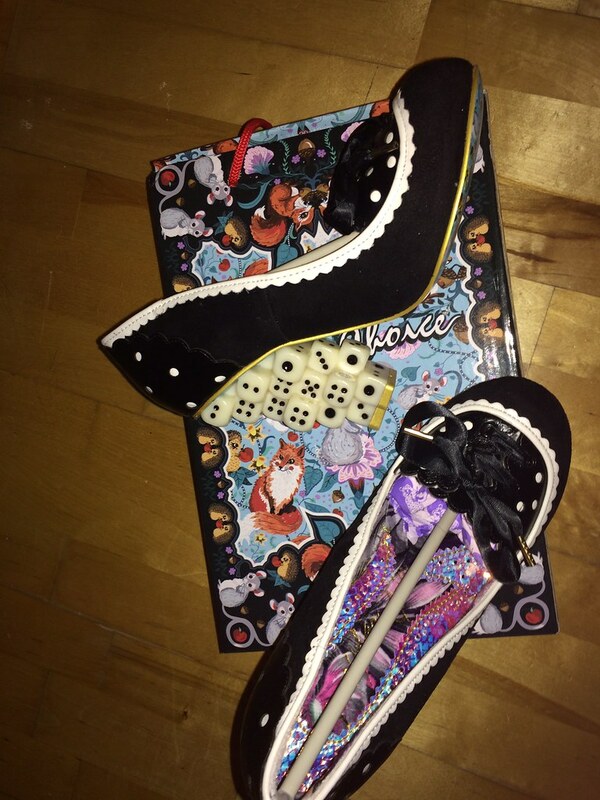 Irregular Choice are becoming seriously known for their iconic quirky heels (with an upcoming collection of Star Wars heels to celebrate the new film out soon being their next big thing). 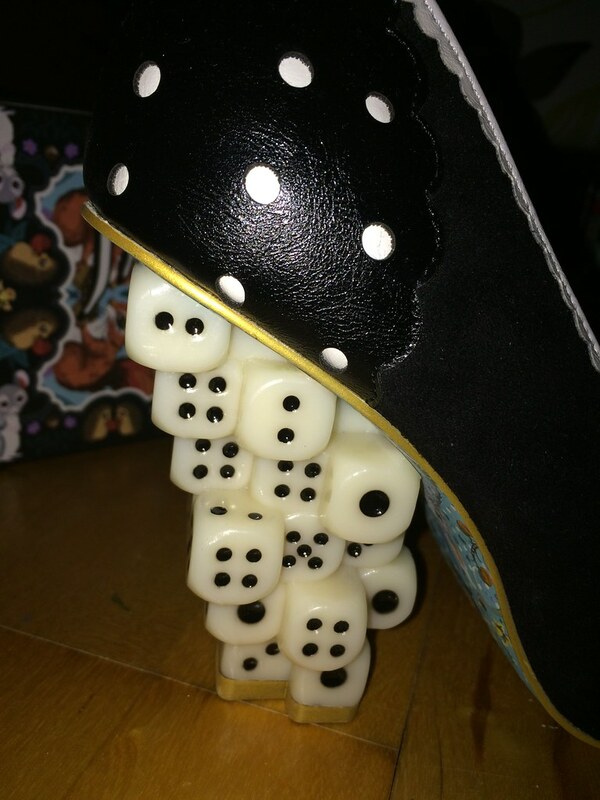 These dice heels almost totally passed me by. I think the marketing info were circulated when I was away and I'd almost not realised they were even happening. And yet, shortly after release day, there they were. Upon unwrapping them, I was soon convinced that I liked them a lot more in person than I thought I did in theory, and here's why.. Throw A Six is the shoe version of the dice heels range and come in either red/white or black/white. The black and white colourway appealed to me more, because it meant that the stacked dice heels were black and white rather than red and white, which just seemed more "proper" to me. Weird, I know. The heel is made up of what looks like many dice, stacked up on top of one another to create a kind of blocky heel which manages to be completely sturdy and yet look incredibly precarious at the same time. The rest of the shoes might be monochrome, but they're in no way boring. 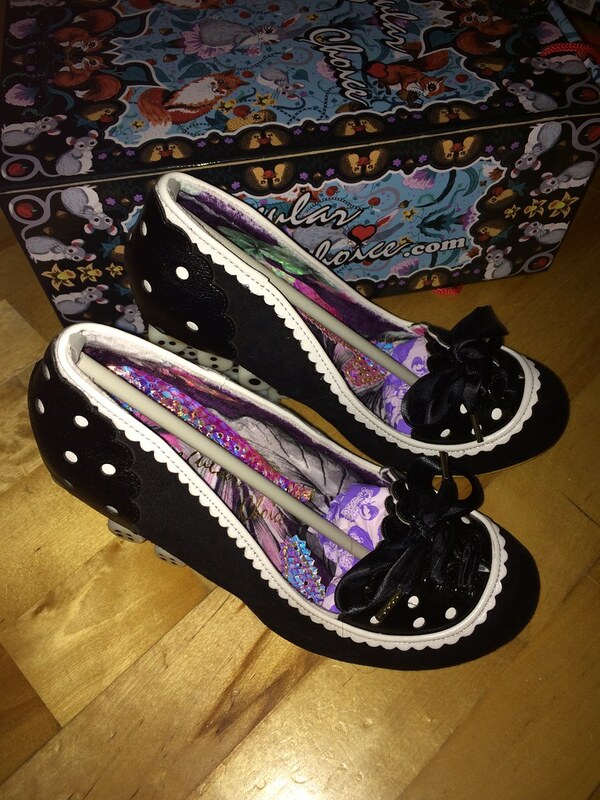 I love that here are polka dots adorning the fronts and backs of the shoes and the scalloped edges around the edges add another lovely detail to it. Unbelievably, for one of the IC "statement" heels, it's a couple of weeks since their release and all of the styles still seem to be available, so you can still get your hands on some. There's a boot version, too. What do you think? I wish I'd had these before my trip to Vegas! I'm not a fan of Star Wars, as I've never seen the movies, but they look impressive! These are amazing, really love the heel! Are they true to size? Or do you have to order one size up? Pretty true to size. These are my regular size and they're totally comfy. I think they closest fit pair I own is Rocko.